I am excited to announce that I and several NK Designs models will be headed to Paris Fashion Week in October. I am excited to announce that I will participate, contribute, popularize my fashion brand, and present 2019 S|S Collection at The CMG Paris Fashion Week in Paris, France on October 13th, 2018 as well as nationwide and worldwide. 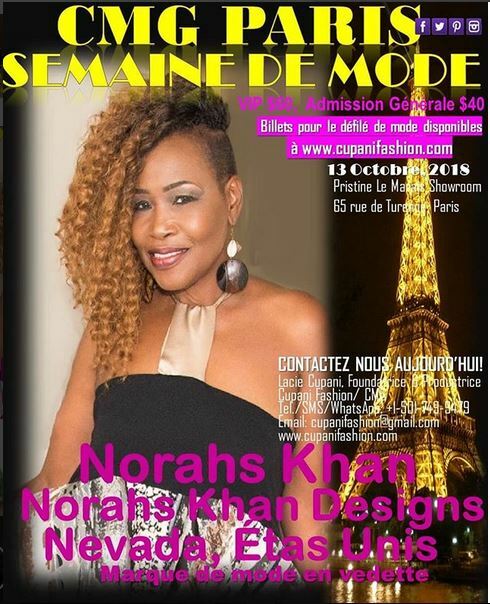 Join me and enjoy Norahs Khan Designs runways in Paris, France!